Website focuses on instruction for all levels of golfers covering every aspect of the game. Golf-Info-Guide.com also features analysis of the top pros’ swings, equipment articles, an e-commerce portal and much more. Golf may be a difficult game to master, but accessing a wealth of information to improve your game is now easier than a 6-inch putt. A new website called Golf-Info-Guide.com offers hundreds of tips covering every aspect of the game, from boosting driving distance to beating the dreaded putting “yips,” without the cost of professional lessons or online membership. 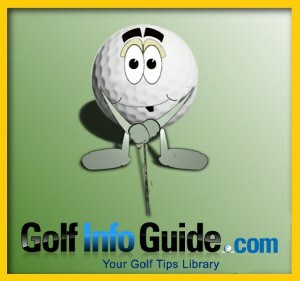 Golf-Info-Guide.com features instructional tips in both video (over 1600 video golf lessons by PGA Qualified Golf Teaching Professionals) and text formats, with colorful graphics, diagrams and photos to enhance the golfer’s understanding. Golfers of all skill levels, from beginners to low-handicappers, will find advice to help improve their distance, accuracy, chipping, putting, course management, mental game and more. The website even offers sections devoted to seniors, women and left-handed golfers. Sponsored by Thomas Golf Brand — a leading online designer, manufacturer and retailer of golf equipment — Golf-Info-Guide.com offers all this valuable content to golfers. All articles and videos appear under specific categories for easy navigation; the site includes a handy keyword search function as well, so visitors can quickly find tips on specific subjects like tee shots or short game. In-depth, up-to-date info on golf equipment, focused on guiding players to the right clubs and balls for their unique styles. A special section on hitting hybrid clubs, which have taken golf by storm. A glossary of common golf terms, both technical and slang. An e-commerce portal where visitors can purchase new golf clubs and accessories. Golf Question: How Do You Fix a Reverse Pivot? Golfers looking for expert, advice on an array of important subjects are invited to visit Golf-Info-Guide.com – the web’s top resource for all things golf.